If your downloads are taking too long, there are plenty of ways you can speed them up. We reveals how to get software, videos, game, films and other large files in half the time. Back in the dark days if dial-up, downloading even a photo or a PDF from the web could be a tedious and time-consuming process. Now that most of us have much faster connections, this shouldn’t really be a problem, but as broadband speeds have increased, so too have file sizes. It’s not uncommon to find games that are several gigabytes in size, while higher-quality videos, photos and audio files also require heftier downloads. Fortunately, rather than wasting valuable hours watching progress bars or countdown clocks, there are all sorts of tricks you can use to turbo-charge your downloads and get even the biggest files in a matter of seconds. These range from using dedicated download managers, rather than your browser’s basic built-in tool, to tweaking torrenting software for optimum performance, and using third-party software to grab photos and videos from Flickr and YouTube. In this post, we reveal the best free and easy ways to get files faster, as well as suggesting slimmer- and therefore speedier- alternatives to bloated downloads. The brilliant Firefox add-on DownloadHelper makes grabbing videos from you tube much faster than other similar tools, because it lets you choose different file formats and resolutions. Obviously, the smaller the file, the faster it will download, which means you can sacrifice picture quality for speed. If you use chrome, there’s a less versatile but even simpler add-on called Dr. Newton Downloader . This place a download button and a choice of conversion options directly under every you tube video. 1. 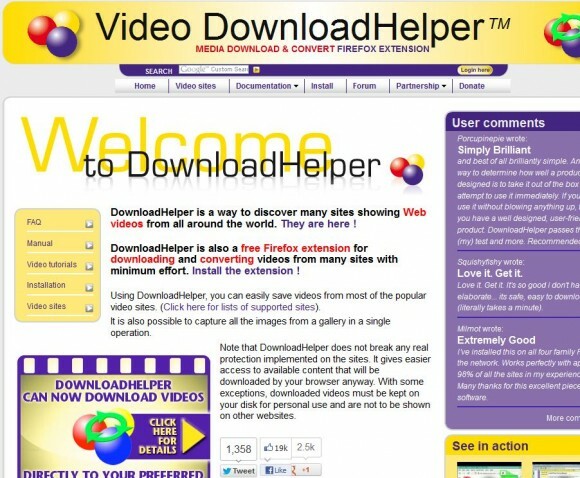 Once you’ve installed DownloadHelper, you’ll need to set up the add-on to convert downloaded videos. In Firefox, go to tools, downloadHelper, preferences, click the conversion tab and select ‘conversion enabled’. Now click ‘install/update converter’, install the ConvertHelper tool and click ‘RecheckConverter’. 2. Click ok to confirm, and then go to you tube and find a video to download. Click the arrow next to the DownloadHelper icon on your toolbar, select your preferred version of the video-for example, 360p FLV or mobile 3gp- and choose quick download from the side menu. Alternatively, choose download & convert for additional options. 3. The converter options let you choose the best file format for the device you’ll be watching the video on, for example iPhone, DVD player or tablet pc. if you don’t see the one you want, click details for the full ‘output format’ list. You can also fine-tune other aspects of the conversion, including the video and audio codecs, and the bit rate. There are few things more annoying than waiting for a large video file to download and then realizing you’ve got the wrong one. The latest free version of Download Accelerator Plus helps you avoid this problem by using its Video Preview feature. This new tool in the download manager, which is compatible with all the main browsers, lets you play video and audio files while they’re still downloading to avoid wasting valuable minutes. It also saves time by letting you download in one click from file-hosting sites including MediaFire and RapidShare. It also has a Link Checker tool that makes sure download links are valid. Just make sure you untick the options for any unwanted charges and extras during installation. Video files are often too large to send by email, but uploading them to a file-sharing service for the recipient to download can be a hassle. 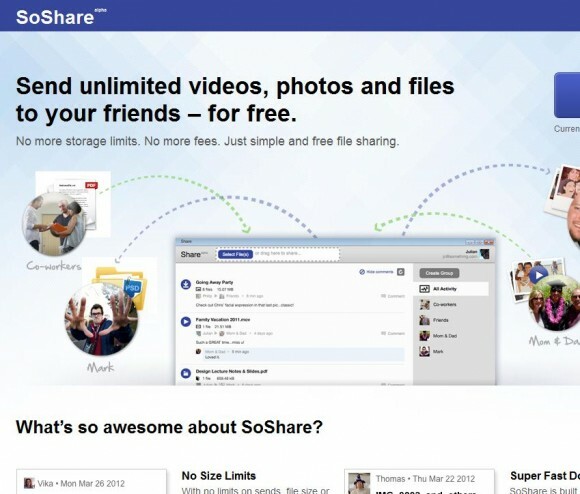 To make things faster, you can send and receive videos using the marvelous free service Share. Powered by BitTorrent, this tool lets you easily share HD videos, high-resolution photos and other big files. Just sign up for an account, select the files to share and invite people to download them via email or facebook. The more people who access your videos, the faster the files download. Ge.tt is a fantastic free alternative to DropBox that lets you upload and download large files such as videos at lightning-fast speeds. For example, a 150mb video file takes just one second either way. 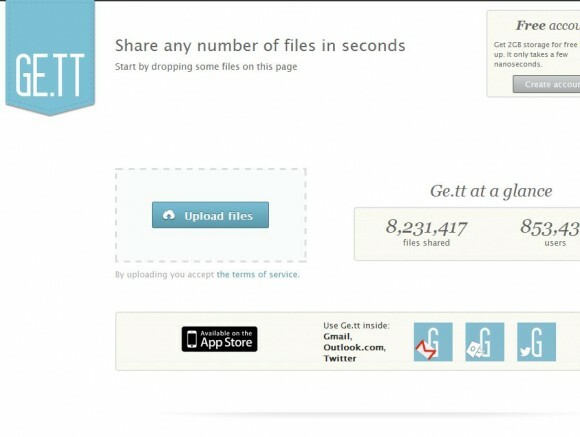 Simply visit the website, click ‘upload files’ and select the file, or drag and drop it onto the button. You can then share the link by email or on Facebook. Twitter or Google+, and other people can start downloading it even before its finished uploading. You don’t need to register to use the service, but you’ll get 2 GB of free online storage if you do. If you use Gmail or outlook you can send massive files by email using the new chrome add-ons Ge.tt on Gmail and Ge.tt on outlook.com. Rather than clicking the individual download links on an mp3-packed web page, you can save time by grabbing all the tracks at once. 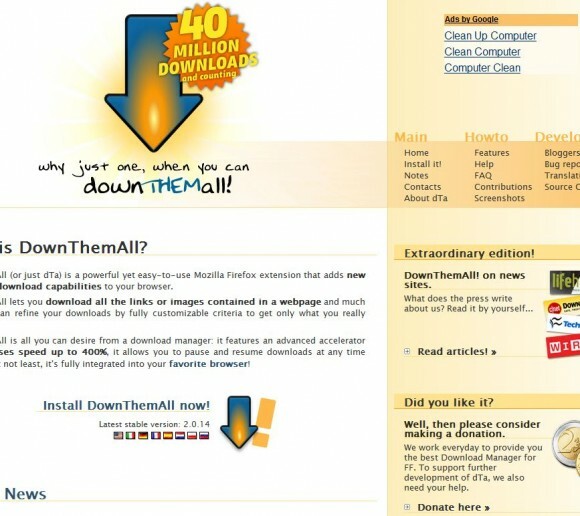 The amazing Firefox add-on DownThemAll lets you download multiple files in a jiffy simply by right-clicking the page and choosing ‘DownThemAll’. To make sure you only get music, click filters and select the ‘audio (mp3.wav.-)’ option, before you click start. Alternatively, if you want to grab photos or videos, select those filtering options. Once you’ve set up your default download folder and other preferences, you can speed things up in future by choosing ‘dTA OneClick’ from the right-click menu. If you use chrome, you can download everything from a web page at once using Download Master. Although this add-on isn’t as sophisticated as DownThemAll, the latest version lets you filter links to grab only mp3s (as well as JPEGS, GIFS and PNG files). One of the best ways to get big programs and games faster is to break the download into pieces. This will establish multiple, simultaneous connections to the server and make more effective use of your bandwidth. The aforementioned Firefox Download Manager DownThemAll splits files into segments automatically to boost the speed of your downloads by up to 400 per cent. For particularly big files, go into the add-on’s preferences, click advanced and increase the maximum number of segments (you can have up to 10). Then click network and change the limit for downloads per server to match. 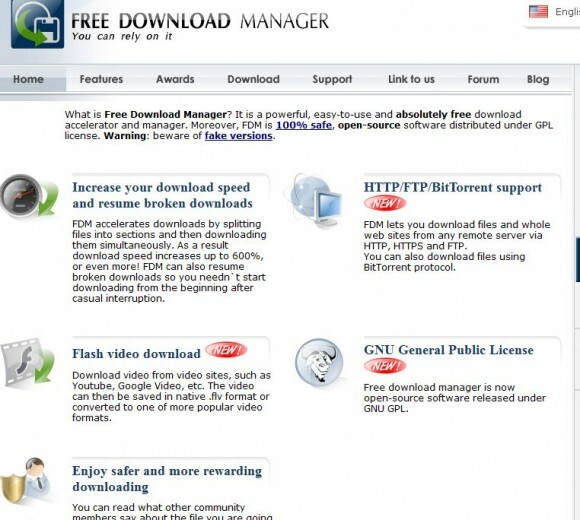 Alternatively, you could try the excellent Free Download Manager, which also works with chrome and internet explorer. As with DownTheMall, the program splits files automatically, but you can make things even faster by increasing the maximum number of connections per server. Go to options, settings, network, choose ‘set to’ and enter a number. Free download manager also lets you download torrent files and videos. See our mini workshop (opposite page) to find out how to use this feature. 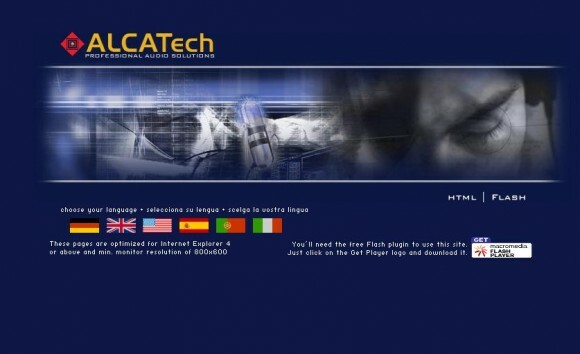 Many big software downloads are hosted on different servers around the world. Where possible, it’s wise to choose a ‘mirror’ source in the UK, because the file will not have to travel so far and will therefore download much faster. If a British mirror isn’t available try a European or Irish location instead. Usefully, you can set free download manager to automatically search for mirrors when a file is over a certain size. Go to options, settings, mirrors, select ‘automatically search for mirror URLs’ and enter a size in the don’t search if the file size is less than’ box. You can also choose ‘calculate mirrors ‘speed’ so that you always download from the fastest source (usually the nearest one). 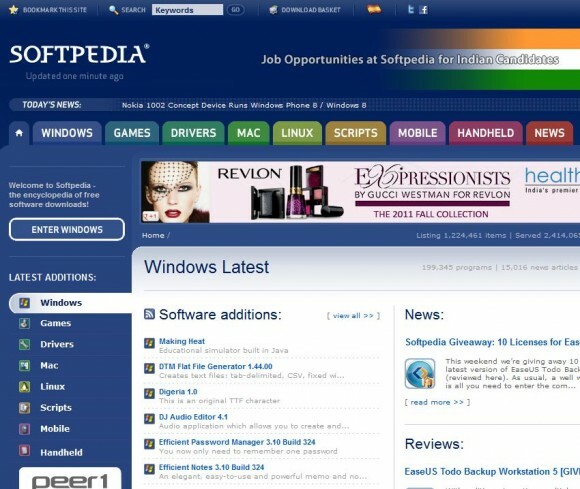 It’s often quicker and safer to download new programs from software-hosting sites such as Download.com, Softpedia and MajorGeeks rather than the developers’ homepages. These can every file for malware before they make it available, and they usually offer a choice of mirrors, so you can choose your nearest and fastest source. Thankfully, download.com has now stopped bundling every download with its annoying and highly unpopular CNET installer, which included unwanted extras such as browser toolbar. If you do find a program on the site that still uses the installer, choose the blue direct download link (below the green button) instead. You should also be careful when downloading from Softpedia not to click adverts that look like download links. Install Adblock Plus, if you don’t already have it, for a less confusing experience. If you ever download software hosted on services such as RapidShare, you’ll know that unless you upgrade to a paid-for account, there’s often a delay of several minutes before your download begins. 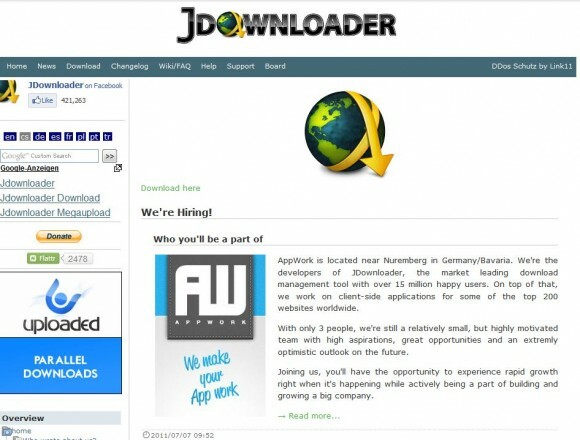 One way to avoid waiting around is to install JDownloader. Copy a link from a file-hosting site to the program and it will automatically download it once the waiting period is up, and even fill in CAPTCHAs for you. JDownloader can download several files at the same time, automatically resume broken connections and schedule downloads at the times of your choice. Make sure you choose Advanced Installation and untick the options for the Babylon Toolbar and other unwanted extras. Many of the games offered by online-gaming platform Steam are massive- often several gigabytes in size- and can take several hours to download. The speed you get depends on the proximity of the host server and the number of the other gamers downloading from it, which means it’s worth trying an alternative source. 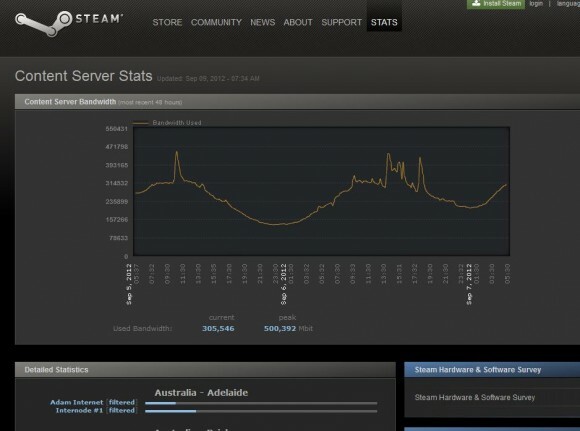 Visit steam’s Content Server Stats page to view detailed statistics about how many people are using each of its global servers. Find a location with fewer users than your current one that isn’t too far away: for example, Iceland’s Steam Server is usually very quiet. THEN open Steam, go to View, Settings and click the Downloads + Cloud tab. select your new download region, click Ok and restart steam. Another tweak you can try to make steam downloads faster is to ensure the service is using the right setting for your internet connection. Go to view, settings, downloads + cloud and choose the approximate speed of your connection from the drop-down menu. If you’re not sure what your true download speed is (as opposed to the ‘up to’ figure promised by your ISP). 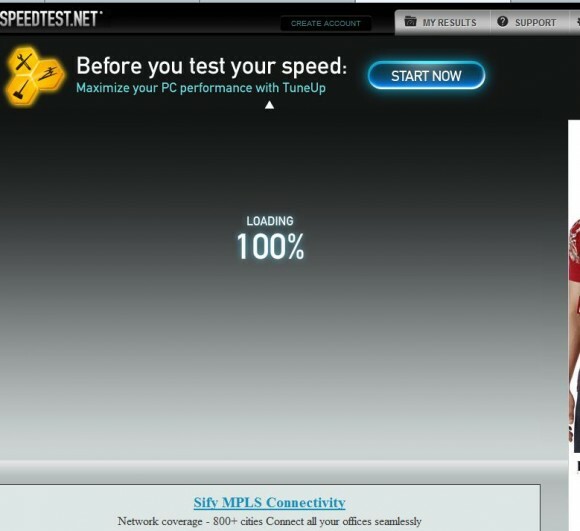 Use an online speed test such as Speedtest.net to find out. 1. Launch Free Download Manager, and go to Options, Settings. Open the Downloads tree on the left and click BitTorrent. Ensure the option ‘Enable BitTorrent protocol’ is selected and tick the box for ‘Associate Free Download Manager with. Torrent files’ to make the program your default torrent tool. 2. To add torrents to Free Download Manager, click the Torrents menu and choose ‘Add Torrent download from web’. Copy and paste the link and click ‘Malicious?’ to check if other users have flagged the file as being dangerous (although you should still check it with your own anti-malware program). Choose a folder to save the torrent to and click Ok.
3. If you use chrome, you may need to configure Free Download Manager to override the browser’s built-in download manager. Go into options, settings, Downloads and click Monitoring. Choose Google Chrome from the list of browsers on the right (IE and Firefox are pre-selected) to give you one-click access to torrent files hosted on web pages. Rather than visiting the iPlayer website to watch new episodes of your favorite shows, why not grab them automatically using the Series Record feature? First install the BBC iPlayer Desktop software, then go to a programme page, click ‘Download options’ and choose Series Record. This will automatically download the next episode in the series and all future episodes as soon as they become available, and you’ll have 30 days to watch each one. To stop iPlayer Desktop downloading a programme, hover your mouse over the pink download icon and choose Pause Series Record. You can speed up Series Record downloads by scheduling them for early in the morning when fewer people are likely to be using the service and the web. Click the Preferences button on the Downloads screen in iPlayer Desktop and, in the download Settings section. Select ‘schedule Series Record downloads between’. Choose ’00:00 – 0.6:59′ from the drop-down menu and click save. Click it and find the EnableConnectionRateLimiting value on the right (if the entry doesn’t exist, right-click and choose New, DWord Value to create it). Now double-click the value, set its data to 0 and restart your PC. This should give you unlimited TCP connections and speedier downloads, although your torrent client may impose a maximum (uTorrent’s default is 100). As always, it’s wise to create a System Restore point before you make any changes to the Registry. For Windows XP, you can increase the half-open connections limit by downloading the Event ID 4226 Patch. Double-click the patch and choose to change the number of connections from 10 to 50. Because the patch replaces original versions of files, you may get a warning from Windows or your security software, but this is safe to ignore. Backing up your facebook photos protects them against hacking and loss, but if you’ve got lots of them it can take hours. Save yourself time and trouble by installing fbDownloader which can grab hundreds of pictures from the social network in a matter of minutes. Install the program, making sure you decline each of the unwanted extras, then enter your Facebook login details and grant it access to your account. You can choose to allow ‘Only me’ to view fbdownloader’s activity and to prevent it from posting on your behalf. Decide whether you want to download all your Facebook photo albums or one of your friend’s collections and click ‘Download album’. You can also download all the pictures in which you’re tagged. Remember that, because Facebook re-sizes photos, the downloaded images will be smaller than the originals. You can download Flickr photos manually by right-clicking them, selecting a size and then right-clicking again to choose ‘Save image as’ (although only Flickr Pro users can access their original files). But if you want to download lots of photos at once, it’s much faster to use a batch downloader such as the brilliant Bulkr. This adobe AIR-based Desktop app lets you browse all the images from your Flickr photostream, choose the images you want to download and select the size at which to save them. 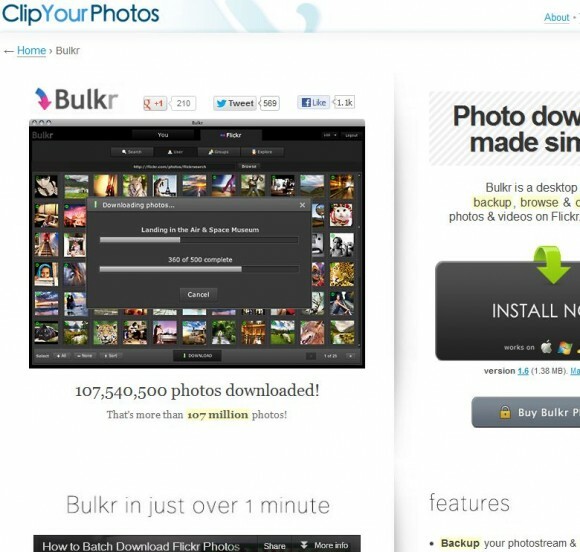 You can also browse and download other people’s photos. Picasa Web Albums and Google+ Photos make downloading your pictures much easier than rival services and let you save them at full size. You can speedily Bach up whole albums at once by clicking the Actions menu in Picasa Web Albums and choosing ‘Download to Picasa’. In Google+, click the more menu and choose ‘Download album’ to save all your photos in a compressed (zipped) folder. 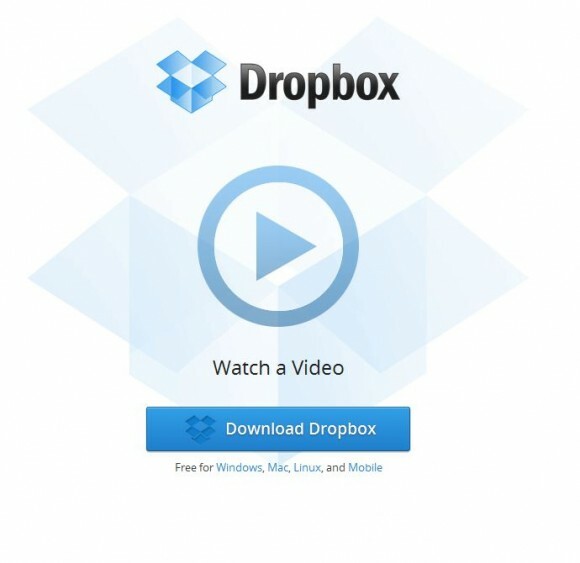 Dropbox places no download speeds, which in theory means you can transfer files from your account as quickly as possible however, some users have experienced faster performance by specifying a maximum download rate, which allocates Dropbox a set proportion of your bandwidth. to try this trick, right-click the Dropbox icon in your System Tray, choose preferences and click the Bandwidth tab. in the ‘Download rate’ section, click ‘limit to’ and enter a figure between 50 and 75 per cent of your connection speed. For example, if you get 10Mbps, set the rate between 5,000kbps and 7,500kbps. Click OK to save the change. 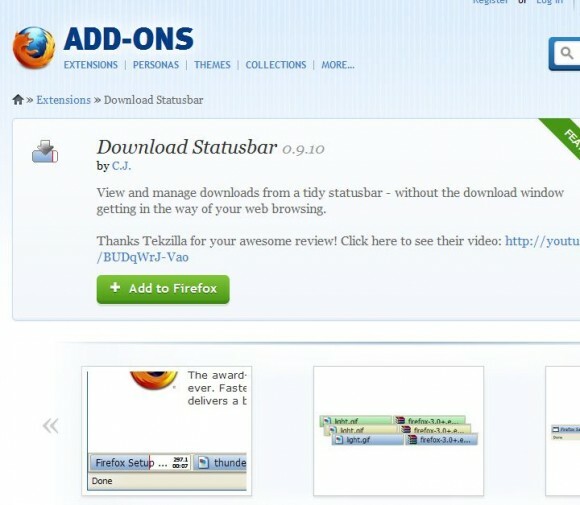 You can improve the built-in download manager in Firefox by installing Download Statusbar. This lets you manage the files you’re downloading from the bottom-right corner of the browser, as in Chrome, and adds lots of useful features. As well as pausing, cancelling and resuming downloads, you can scan them for malware using your anti-virus program, play a sound when the download completes and continue downloading files even after you close Firefox. 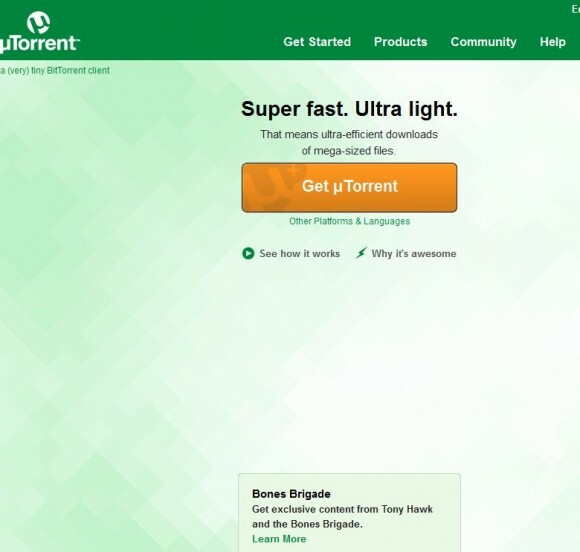 Although you can use uTorrent to download torrent files without changing its default settings, you’ll get better performance if you configure the program to suit your connection. To test your current speed and set bandwidth limits, click the Options menu. Click ‘Run tests’ and the software will detect your speed and automatically adjust its Bandwidth Configuration a setting, such as you maximum number of connections and downloads. You can also use the Network test to check your router settings and identify any problems. Tweaking the settings of torrenting tools can be confusing and may lead to slower rather than faster downloads. you can play it safe by using FeyAcceleretor, which boosts performance in a wide range of peer-to-peer (P2P) programs, including uTorrent, BitComet and Vuze. To use this, simple tools, just choose the software you want to speed up from the P2P Run menu, and it will optimize your bandwidth for faster uploads and downloads, which you can monitor in the graph below. When you install FeyAcceleretor, make sure you choose Custom installation and deselect the unwanted extras. Most BitTorrent programs let you control your upload and download speeds so you can change the settings yourself. For the fastest file transfers, you should set your upload speed to around 75 to 85 per cent of your connection’s actual upload capacity, and your download speed to between 85 to 95 per cent. You can work out these figures using Speedtest.net. We asked readers about the most bloated programs they’ve downloaded and what alternatives they recommend. Here’s what you told us. Windows Media Player. I’ve got a hell of a lot of albums on my system, but WMP takes too long if you just want to listen to a CD or one track. 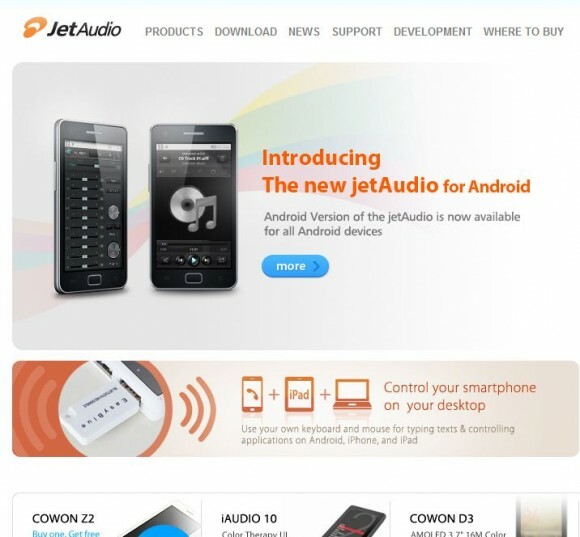 I use JetAudio instead. Adobe Acrobat Reader. I much prefer PDF XChange Viewer. Internet Explorer. Despite being the only browser that plays YouTube in fullscreen without lag (since the recent update). i prefer Chrome. I bought Microsoft Office a few months ago and was expecting it to be a big bloasted beast. I was right! I have to admit though, I love it! I have tried many free Office suites but none compare. It’s a hell of a hogging beast, though! Windows Media Player is slow, looks awful and has way too much crap in it. a better alternative is BPM Studio 4 Pro. Turn it on in the morning, load a list and it’ll play all day with no problems. Although the speed at which you can download files to your phone or tablet will depend on the strength of your 3G or Wi-Fi signal, there are apps that can make things faster. 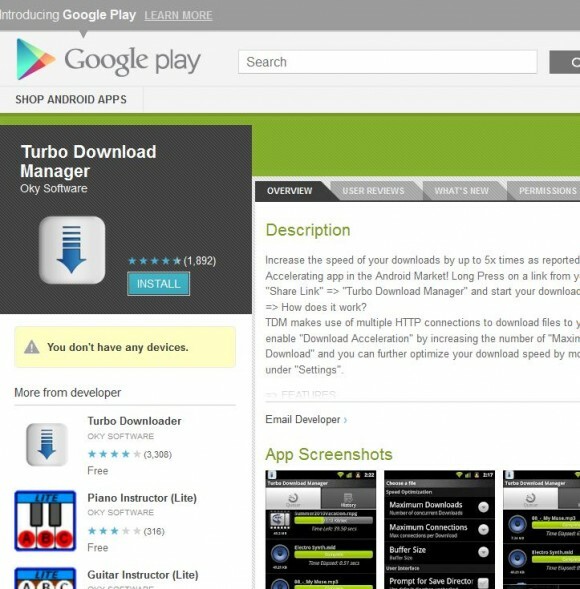 For example, the free Turbo Download Manager for Android promises to speed up your downloads by up to five times, by using multiple HTTP connections. Just press a link on a web page and choose ‘Share link’ to download the file. The app works with most mobile browsers and usefully resumes downloads if you lose your connection. For iPhone and iPad, you’ll need to pay a little for the best download managers and accelerators, such as iGet, which costs 1.49. You can get Download Manager Lite for free, but this limits you to storing 10 files. Awesome list. 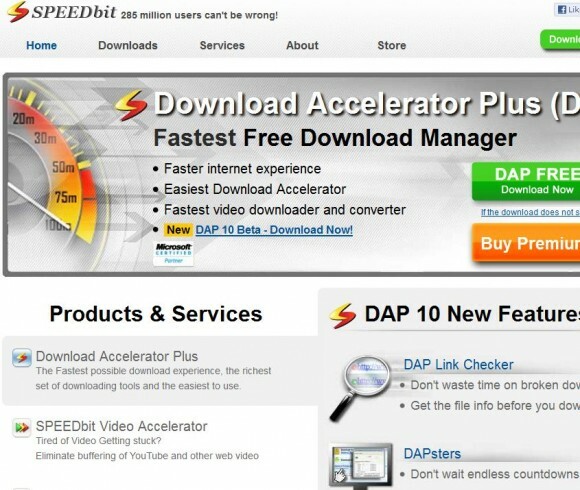 Fantastic collection of all popular downloaders in a single post. Very Good post on video & audio download issue. Thanks a lot for you educative post. Can you help me in one issue. I was using Internet Download Manager for 2 years for downloading. But, for a few days, I am failed to download any videos from youtube using it. Can you tell me, why it is occuring or any solutions are smilingly welcome. Hey nice collection but you skipped IDM, it’s better than other download managers.